Things on Amazon.com took a big turn too. For several reasons, I’ve decided NOT to continue my aggressive ad spend and instead use the situation to test a different approach, something that may be more useful for those of you with limited budgets. We’ll get into the details of this in the Amazon US results section later. November is always a special month for sales because of all the Black Friday week activities, and even though I did not participate in Black Friday by offering discounts or special deals, I still managed to increase my sales and profits quite significantly. In fact, I will prove to you, with the numbers to back it up, that I would NOT make more money during this period even if I had offered sales prices on my items. My yearly blog readers contest is just around the corner! It’s time to do your annual planning task to set your goals for 2019! I will talk about both of these in more detail at the very end of this video. But first things first, let’s start with the numbers and find out how many items I sold in the last month, how much I spent on advertising, and what I made as my NET profit! Let’s get to it! £27,761.00. 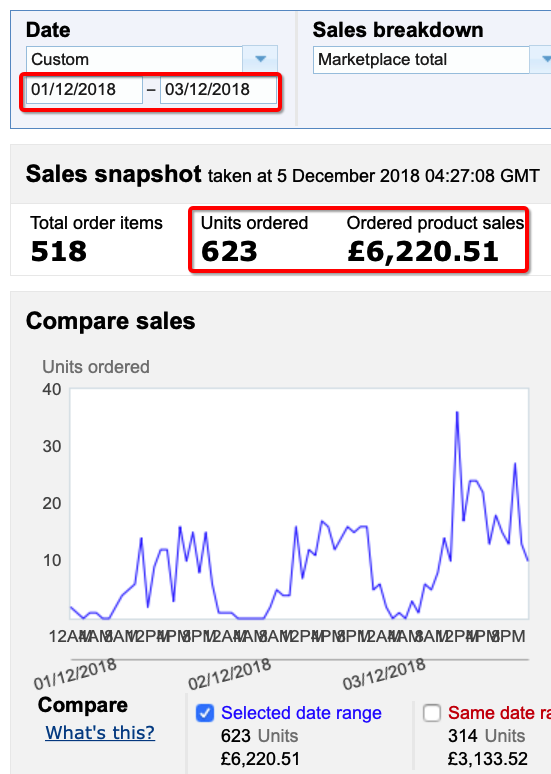 That’s how much I made in sales on Amazon UK in November 2018! This is very clearly a record-breaking month for me and I couldn’t be happier about it. While October didn’t show any signs of increased sales activity, November was a standout month due in large part to Black Friday week and the associated marketing activities. You can see from the stats how sales change radically from the 21st of November, just two days before the actual Black Friday—which, by the way, did not result in a record sales day. Nope, I made much more money on the Wednesday and Thursday before the big day than I did on Black Friday itself, and I even set a higher sales record on Cyber Monday by selling 140 units! That’s why, for me, Cyber Monday will now be known as Black Monday—or let’s just call it the REAL Black Friday! Monday, with 140 units of the product sold and revenue of £1400, was a total shocker to me! It’s almost 50% MORE than Black Friday! Part of that can probably be attributed to the Monday itself as Mondays have historically shown excellent sales, but it’s still much more than I expected. I personally choose not to run any sales on Amazon during Black Friday week. As a seller, I’m not a huge fan of offering massive discounts. From experience, I know that it is very tough to make your offers stand out on Amazon amidst all that noise. You’re competing with hundreds of thousands of sellers, all of whom are trying to compete for the same customer. What’s the point in selling 100 extra items at half the price when you don’t make any profit from it? 1) There’s still limited demand for the item you sell (unless it’s something temporarily trendy with massive demand). 2) Your deal will show up in the very same search results you compete with on any given day. You won’t magically appear on Amazon’s homepage by discounting your item. EVERYONE does special deals during this week! So, for a small-time Amazon seller, your chances of making a huge success out of Black Friday week are minimal. That’s why I take the standby approach. I don’t do any deals and simply milk the profits from all the extra customers this shopping frenzy brings in. I have been doing this for the last three years and it works great! I have tried numerous Lighting Deals in previous years around the Black Friday and holiday sales—they don’t work for me. I don’t know whether it is the product or something else, but I always end up losing money on Lightning Deals, so I don’t do them anymore. What I like about the whole Black Friday frenzy is that people tend to buy more and Amazon increases its advertising to get customers shopping during this specific week. This means that people buy MORE from me, even though I don’t have ANY sales or special promotions going on! My ad spend for that day was around £200, which means that my NET profit for the day was £360. £360 NET profit is DOUBLE what I usually see on a normal day. All these additional sales and profit without doing ANYTHING extra! No special offers, no discounts—nothing! Now, imagine a scenario where I sold my product at a discount, say £6.99, which would be a typical Black Friday deal on a £9.99 item. My profit per item sold would be reduced to £1.50, which means that I would have to sell 240 units—100 units more—just to make the exact SAME profit as I did by sticking with the full price! I can guarantee you that I wouldn’t get 100 extra sales by lowering the price to £6.99—not unless I got extremely lucky and Amazon featured me on the homepage for the Black Friday deals. In general, I don’t build my businesses on hopes and dreams of extreme luck, random coincidences or fantasy calculations, such speculations are pointless. 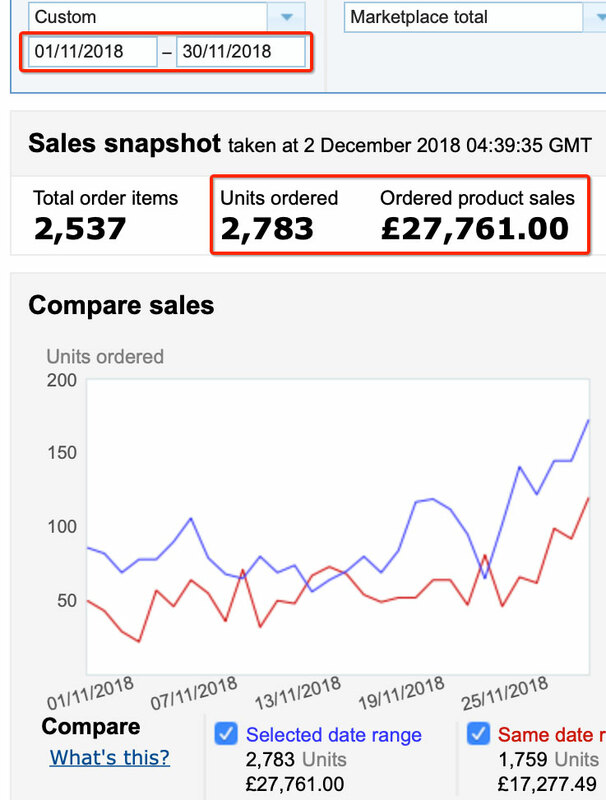 Now, if we compare the sales data from this November with last year, you can see that my TOTAL revenue has increased from £17,277.49 in the previous year to £27,761 in 2018, which is a 61% increase from 2017! I know that next year I won’t even get close to this kind of huge increase because I now have an established presence on Amazon, with mature listings, and hundreds of reviews, etc. Last year, I was just starting out with this brand and my listings didn’t have traction in the search. Ok, now let’s dive into the details of this record-breaking month and find out how much PROFIT I made in November! Big sales numbers are great for the ego, but if your business doesn’t actually make a profit from it, what’s the point, right? This is the first time ever that my profit number BEFORE the ad spend reached more than £10k! And, even more than that, over £11,000—which is AMAZING! Just to remind you and inform people who are reading my posts for the first time, this is NOT an all-in-one type of Amazon business where I sell masses of all kinds of unrelated products. In businesses like those, it would be quite easy to reach these numbers with the right knowledge and capital. What I’m doing here is trying to build a real brand-based business that sells just one type of product that has multiple design variations. 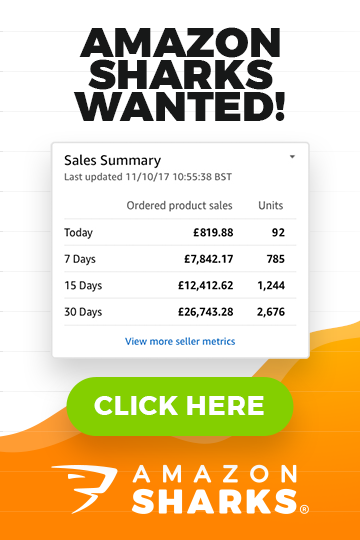 It’s a niche product, which typically has limited demand on Amazon, so reaching £30k in sales per month is a real achievement for this type of business. 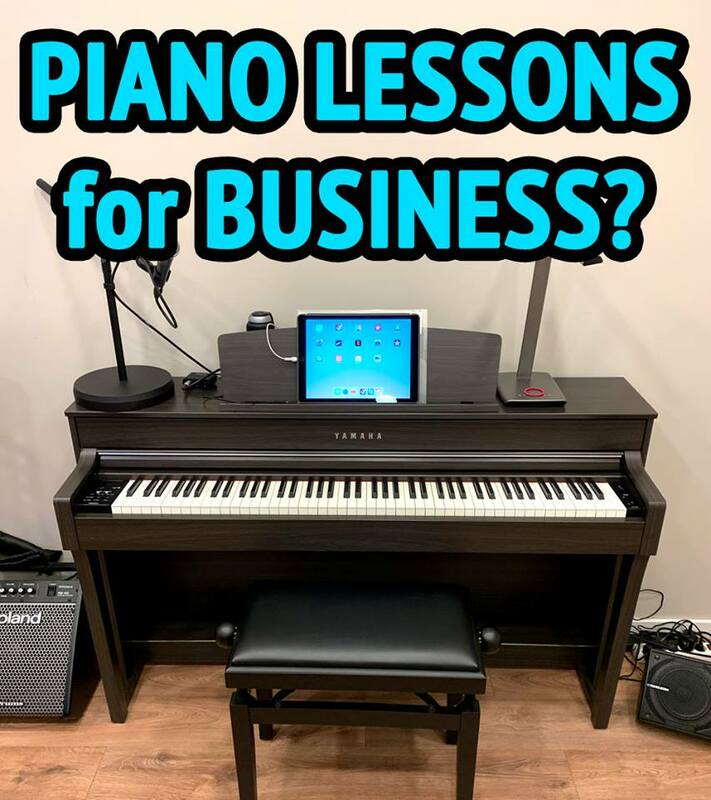 Those of you who have taken my Amazon Sharks course will know exactly what I’m talking about as I use this particular business in the course videos as a real-life teaching tool. There, I get into the finer details of what this business is all about, what the product is, how I run my Amazon business, etc. I launched two new Christmas-themed variations of the product and I wanted to get them ranked as quickly as possible to get sales and reviews in for this season. I started doing lots of experiments with ads, especially with the new PLACEMENT ads feature which allows us to advertise directly on manually selected competitor listings. I started using special software for my campaign management and bidding called Sellics. I have briefly covered the new product placement advertising feature in the Amazon Sharks Facebook group, so make sure to check it out! The group is completely free to join, and I regularly post new information there covering topics related to the everyday struggles faced by Amazon FBA sellers. Sellics is something completely new to me, but I’m super excited to share my thoughts on it with you. I will be doing a full review of it on my blog, but, for now, I’m still experimenting with it and testing various features. I will say, from what I have seen so far, I like it a lot! It takes time to adapt to new software, and it takes time to change your bidding process from manual to an automated tool, so, right now, my ad spend is all over the place. However, I believe that in the next two months, I will get it under control and under an intelligent, auto-bidding control so that I don’t have to manually adjust my bids anymore. As I said, I will get into this more in a separate blog post in January. Yes, on average, I spent £150 a day on ads! And, even though I have achieved great rankings for many of my product variations, I will continue to spend money on ads to sustain my sales velocity numbers, compete better with new sellers in my niche, and to generally reach more customers on Amazon. That’s six and a half thousand pounds of pre-tax profit in one month for an Amazon business that sells in a niche market and is just one year old. I’m super happy about this result and can’t wait for 2019 to come because I have massive growth plans in place! That’s the UK side of the business. Now let’s talk about how things are going with on the Amazon US platform! I am selling the product on Amazon.com for $24.99. This is a different version of the product that I sell on the UK site. It is essentially the same product, but there is three times more of it bundled together as one product. That is the profit number before the ad spend, of course. Just like in the UK marketplace, we need to subtract the ad spend to get the final profit number. In the last video, I showed you how I launched the listing and started getting sales almost immediately by doing aggressive PPC advertising. And it worked! Even without a single review, I had sales coming in. If we look at the November sales figures, you can see that it went as high as 15+ sales per day on one particular day. Excellent, right? Not really. I was spending an awful lot of money on ads to get those kinds of sales numbers. Too much money. Here’s the thing: I do these monthly posts to document my journey, share my story, and help you benefit from my knowledge and experience. And it’s all real. This is not some made up show where I cherry pick the best things to say about Amazon or show only the highlights of my own business and hide the negatives. No, I’m telling you everything exactly as it is and I’m showing you the real situation, without trying to dress it up or make it look better. My aggressive bid approach was not sustainable for this product. Bid prices are simply too high, and I would have probably lost $10,000 on this in November if I had continued. Fortunately, I am not that stupid. But to use this situation to my advantage, I decided to test an alternative approach—another PPC strategy that basically involves starting very slowly, bidding low on keywords that have already converted in manual or auto campaigns, and then growing it all by SLOWLY increasing bids. It’s not a lot of sales, but it’s only month two for this product! With this new, low-bid strategy, I expect that it will take much more time to gain rankings and grow sales compared to my aggressive bidding method—and that’s perfectly fine! Another piece of good news is that I now have TWO product reviews in place! Both are good 5-star reviews, and they should help me increase my conversion rate, which is below 10% right now, and that is not acceptable. I use the same tool for my after-sales emails and review requests as I do in the UK. 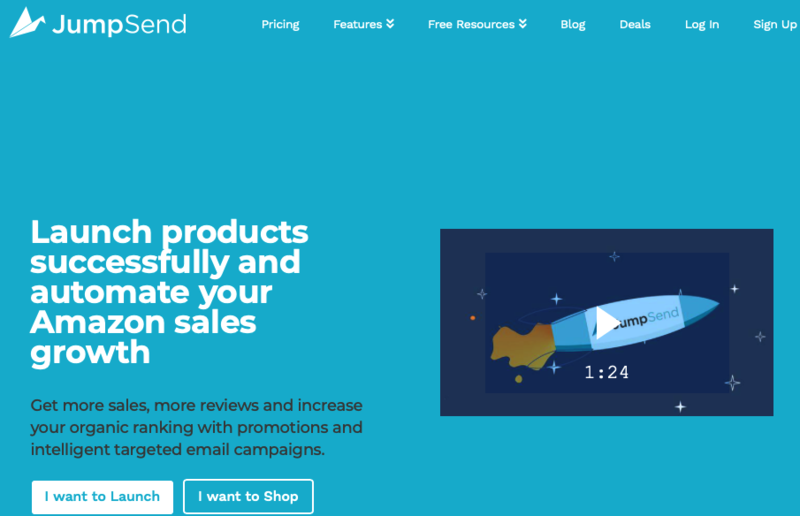 It’s called Jump Send and it is a service tool provided by the same company behind the popular Jungle Scout tool. Getting two reviews out of 100 sales is about the same rate I get with my established UK listings, so I think that part is set up correctly. Now I just need to get more sales in. As I increase the numbers, the reviews will follow. Profit made on sales was $724.08, minus the ad spend of $2,835.57 = a loss of $2,111.49. I lost more than $2000 on the Amazon US platform. Obviously, it’s not a complete loss as it is an investment in sales velocity. In fact, it’s already starting to show results. In November, $1500 in sales came from PPC campaigns, while more than $500 came from organic search. This means that more than 20 units were sold from organic rankings alone, which is nothing amazing, but it is at least a positive result. Also, don’t forget that the whole Amazon US expansion started as one big experiment. I would NEVER get into this niche on the US platform if it wasn’t for my UK success. The competition is extremely high in this niche and, as you can see, bid costs are extreme. Anyways, I’m not making excuses here. I just wanted to remind everyone that the US numbers I cover here are far from typical. In fact, you would never see numbers like these as you would never get into this market in first place. Ok, now all we have to do is sum it all up to see the final numbers for both marketplaces combined! As explained in my last post, I will use XE.com for the exchange rate. As I’m using Transferwise for my US Amazon account settlements, these are the rates I’m actually getting for my payments. If you’re selling on Amazon.com and still using your local bank to receive payments, know one thing: you’re leaving a lot of money on the table due to the terrible exchange rate that banks offer. Check out my Transferwise guide to see how you can easily change this and increase your revenue by getting as close to TRUE market rates as possible. Obviously, exchange rates fluctuate throughout the month, but I do all of this purely for illustration purposes—this is not an accounting how-to video—so slight differences do not make any difference. TOTAL Profit is £6,592.69, minus the loss of £1,656.09, which equals £4,936.60! Yes, it’s a few hundred pounds less than the profit I made in October—even with a higher sales number! Obviously, the losses come from the US side, and it is what it is. If you’re willing to take a risk and do such experiments for potential gain, you have to accept potential losses too. I’m not too worried about making progress on the US site. If it works out, great! If not, I have plenty of ways to grow the business without the Amazon US part. Ok, enough about the numbers. Let’s wrap up the video with some strategy and plans for the future. While most people are already in the festive mood and taking it easy on the jobs, I’m working as hard as I have ever worked! I have now completely adapted to the 4 a.m. wake-up routine and often accomplish more in a single day than I previously did in a whole week! I will do a post about this daily routine in the Amazon Sharks Facebook group very soon, so if you’re not part of the group, now is the time to join it! The group itself is 100% FREE to join, so there are NO EXCUSES not to get involved! 1) The Shopify store. This is probably the most complex one right now as it involves a lot of meetings with the design team, developers, etc. If all goes to plan, I expect to have a live shop by the end of March at the latest. 2) Creative materials for the Shopify store. This includes organising my product descriptions (I will have new ones written, so they’re not just duplicates of Amazon’s), improving my images and everything else. I also want to shoot a video for each product I sell and use it on the website as well as on Amazon. 3) Trade shows. As I have previously mentioned, my plan for this Amazon business and brand for the next year is to take it to trade shows and see how the offline world and customers react to it. I have booked three trade shows for 2019, so I’m actively working on and preparing for those. I will keep you updated about my progress on this throughout next year’s videos. 4) Planning for 2019. Yes, I have already started to work on my plans, monthly milestones, and long-term goal-setting for 2019. I want to be done with it before Christmas time, so I can leave the office with a clear mind. An important piece of machinery broke down, which halted our production line. An employee got into a car accident, so I rushed to the scene to provide support. Another employee was leaving us for maternity leave, which needed to be celebrated. At the same time, I had to hire two new employees, try to reorganise our workspace and negotiate better terms on our lease. Then, a pallet-worth of damaged materials came in, so that had to be dealt with. On the same day, my dog fell off the stairs. Luckily, Robby is fine! PLUS, there’s the kids and all the school stuff! And then I remember that I have a wonderful wife too and it has been a while since I took her out for a nice dinner! IT’S A NEVER-ENDING NIGHTMARE! LOL!!! But that’s business—and that’s life! I have been doing this for so many years that I’m just used to it. And all these responsibilities do not suddenly come to you one day. They build up over a long period of time. You slowly discover just how capable you are, just how much you can handle, and you get used to it. I didn’t even mention all the hours each day that I put into managing my blog, answering all the comments and emails, or creating content for my blog posts and Facebook group. I have also started working on additional, new material for the Amazon Sharks course. I hope to add it to the members’ area in early-2019. All these new videos will be completely FREE for existing Amazon Sharks customers, and as soon as they’re added to the members’ area, I will inform you about it via email and the Facebook group, but it probably will be in March or April at the latest. In relation to the Amazon side of things, over the next few months, I want to add a few additional variations to my product line and bring the number closer to 24 or so SKUs. I believe that this is the optimal number of variations to carry online for this product, as well as to present to retailers in the upcoming trade shows. This only means one thing: more work on getting those new SKUs in production, getting images created, descriptions written, videos filmed, logistics organised, and everything else. As for the Amazon US side, I’m so busy with the UK plans right now that I don’t have time to fully concentrate on the US expansion. To prevent myself from going crazy from all the things I have going on right now, I think I will just let the Amazon US side coast along at a slow pace for the next month or two. The product is selling, reviews are slowly coming in, so I will just let it continue to make the slow progress for a while. Then, when I have more time on my hands, I will properly expand the PPC to increase the sales velocity. I believe that this is the best thing to do in the current situation. To be 100% honest with you, I am starting to regret the whole US expansion thing, especially with all the problems it brings with it. I’m starting to think that it was not a great idea to dilute my effort and time by taking on the Amazon US platform. There’s just so much to do on the UK side of this company! But as it stands, I have almost 1800 units of the US product version left, so I don’t want to waste it all—at least, not yet. We’ll see how it goes, but, strategically, I have made a decision that the UK growth into eCommerce and wholesale is my number one priority right now. If I have time and energy left over, I will do some work on the US platform too. That’s it for today. I hope that you have learned a new thing or two from this monthly update and, if not, I hope you at least got a motivational boost from seeing my results. 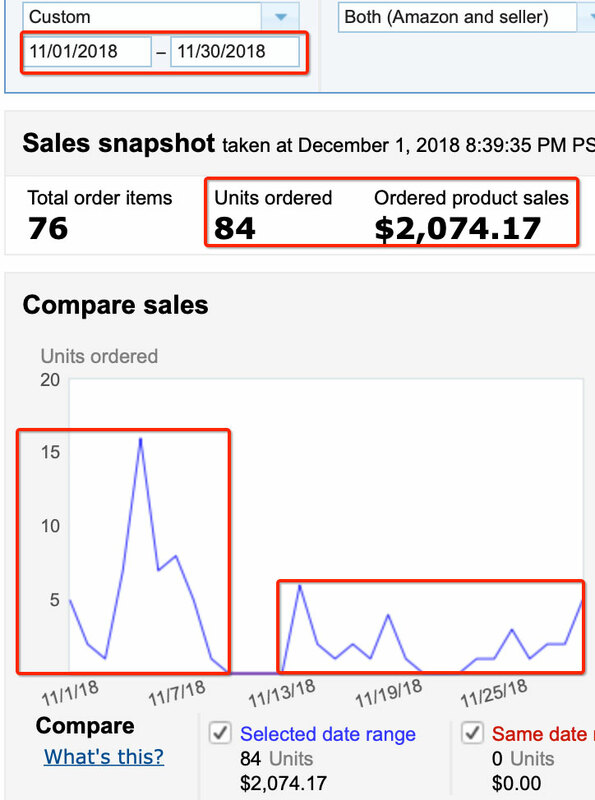 Even to this day, I LOVE seeing other sellers’ dashboard and their sales and profit numbers! 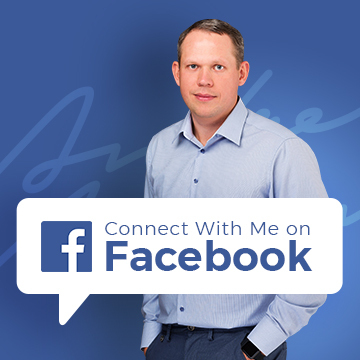 It’s super powerful for motivation and that is one of the reasons why I share my results so openly with you. I hope it motivates you to go out and make it happen for yourself! On Thursday of next week, I will announce my yearly blog readers contest, where I will give away £300 worth of Amazon gift cards! So, if you haven’t done so already, subscribe to my newsletter, follow me on Facebook and, ideally, join the Amazon Sharks Facebook group so you never miss out on any news from me! And if you haven’t started an Amazon business yet, what could be a better Christmas gift to give yourself? Start your own business and take control of your future! If you need a step-by-step education on how to do it, check out my Amazon Sharks program where, in more than 20 hours of video, I show you exactly how I built my business, took it from ZERO to thousands in profit in just a few short months, and how you can replicate my success for yourself! If you have questions or comments about anything I have covered in today’s post, leave them below. I will personally answer ALL of them within 24 hours, Monday to Friday. Hi Andrew, a bumper month indeed, congratulations. I have a quick question, I used to sell FBA a few years back but life got in the way and I basically stopped and got my old inventory (private labeled) returned to me. I hae now jumped back in with a brand new account and intend to pick up where I left off. As such I’ve re listed some of my old inventory in my new account and stared a PPC campaign, mainly to just shift this inventory so that I can start afresh. It means that you’re not the only seller for that product and someone else is “owning” the buy box. The game of winning the Buy Box is not something I personally have much experience with as I only sell my own brand goods with no direct competition. Hi Andrew, Thanks for the reply. I’m definitely the only seller as I had the product manufactured Myself. It has however dawned on me what the problem is. As I mentioned I had inventory returned from a seller account and I have now listed that inventory in a new seller account, so as far as Amazon are concerned the product already existed in their catalogue, hence as you say, 2 sellers. I’ll relist from scratch and cover the printed barcode with a new barcode on a sticker. Quick question regarding registering at Amazon Central as a seller. It asks for business type. I am just starting out but will be using FBA, but in the future it is possible that i will be selling large quantities of item. So should i still select Individual? Or other options include UK Sole propietry, Privately owned business etc. I am not sure what to go for. Thanks for your help! You can ONLY select the business form you currently have/operate under – e.g. individual, Sole Trader, Ltd. company etc. You can’t select anything else as you will have to verify your information with Amazon. So, this is a good time to think about your journey and decide on what you want to do with this – if your plans are serious, as a minimum you will want to register as a Sole Trader with the HMRC or set-up an Ltd. company (which is the best option is long-term). Thanks a lot for sharing so much detail of your progress…..the good AND the bad which is really appreciated. I have a question about the staff you mentioned: do you employ people for your Amazon business or for another business? Congratulations on a great month. You mention the Shopify store and the wholesale trade shows. Will your findings and journey with these be documented/taught in the Sharks course, or will these be separate, standalone courses? Brilliant Results Andrew, congratulations and so well deserved – you are so helpful and giving and I really admire your approach. Question on over-sized items: every seems to swear off them, however some sellers are clearly profiting big time here, otherwise they simply wouldn’t be selling them via FBA on Amazon! If the product has profit margins like this, but is over sized, why would a private label seller not go for it? I have NO reservations on it whatsoever! If the product shows good margins and everything else is great about it, I don’t care how big is it! The only time when I would not recommend it is IF your budget for stock purchase is very small as over-sized items need to be shipped in whole pallets from China and usually the bigger OR cheaper the item is, the more pallets you need to ship at once to make it cost effective. There will be items that are large/bulky and cheap that can only be shipped via container loads, to get a good shipping cost per unit as they’re so big and take up so much space! Apart from that, I have no reservations. All the processes with Amazon FBA business are automated – orders, advertising, customers etc. so ONCE you’re up and running, there’s not much you NEED to do. Obviously, you can go extra and be active on social media, look for influencers etc. etc. but I haven’t done any of that for this business yet. What I am working on right now is the Shopify store, wholesale plans, trade shows – but these are unrelated to the current situation and income.